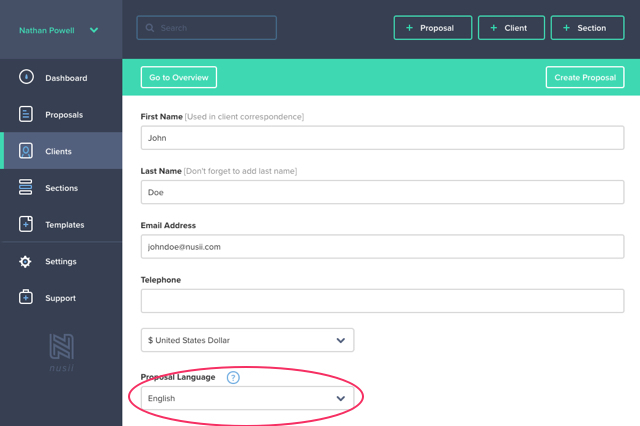 You can change the language in which your client views their proposals, and you can do this in two ways. 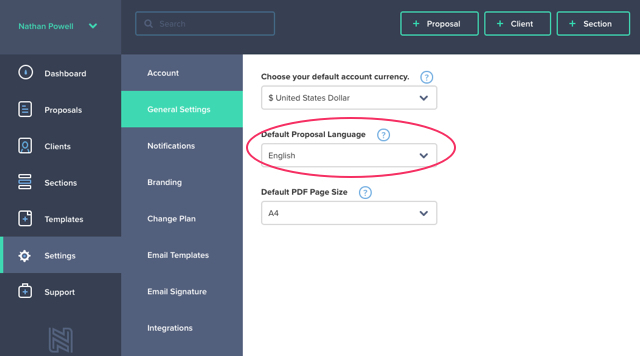 Firstly, you can set a default language for all of your proposals. This is done in Settings / General Settings. Secondly, you can set the language on a per-client basis. Perhaps you work primarily with English-speaking businesses, but every now and again you work with a Spanish client. Setting the language on a per-client basis means only this client will be affected by any language changes made here. Please note, this only updates what your client sees. It does not update the language of the app itself.